A few weeks ago, we posted a survey asking for some feedback regarding what you like about the site, and one of your favorite features of ModernGraham is getting better. We’ve taken your feedback and improved the formatting of our valuations in order to give you more information. Now you can be better informed when conducting your investment research. Starting today, all individual valuations on ModernGraham will be in a new format. The ModernGraham approach is three-fold, and the new design will highlight that fact. This will enable you to conduct your research as efficiently as possible. Stage 1 looks to determine if the company is suitable for either the Defensive Investor or the Enterprising Investor; Stage 2 presents ModernGraham’s calculation of intrinsic value and gives some brief comments; and, Stage 3 provides some data to assist with your further research. All of this also allows us to provide you with charts of information exclusive to ModernGraham, such as a chart showing the EPSmg (normalized Earnings Per Share) or the PEmg (price over EPSmg) ratio over time. We know dividends are important to you, as they should be to any intelligent investor! We also know that dividend growth is a key factor for many investors when they are conducting further research. That’s why we added some brief data regarding dividend growth. Now you can see how many consecutive years the company has grown its dividend! ModernGraham isn’t your only source of information because you like to be as thorough as possible when deciding where you put your money. With our valuations, you can start your research here and have quick access to the company’s page on other sites. Each valuation will have a link to Google Finance, Yahoo Finance, GuruFocus, Morningstar, MSN Money, Seeking Alpha, and the company’s SEC filings. If you use another site, just let us know and we’ll see about adding it to the list. Our recent valuation of Arthur J Gallagher & Company (AJG) is set up as a preview so all visitors to the site can see the new format. Go check it out! Is Something Missing That You Need? 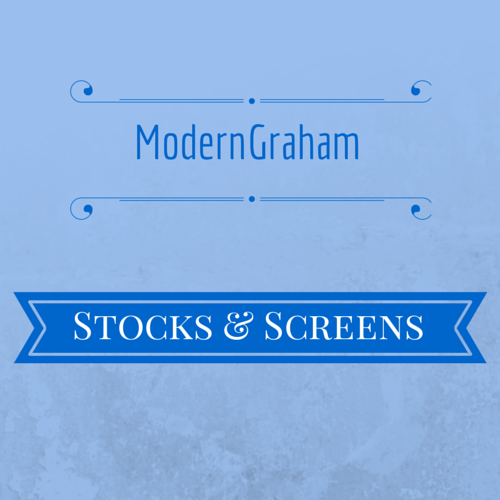 Send me an email at ben@moderngraham.com or leave a comment on this post, and I will work on including it. The goal is to make sure you have everything you need in one place for your research as a value investor. 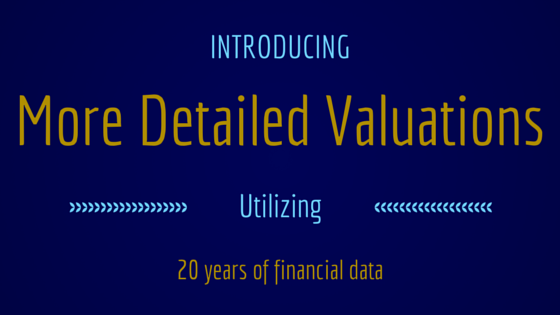 All of the individual company valuations are available to premium members. A membership is only $4.99/month but for TODAY ONLY you can get a membership for only $3.99/month! Just enter the coupon code VALUATION20 when registering. Although Canada based, I’ve just started to dip a toe into the U.S. market, so, as a novice in that market and Defensive investor, I’ve found your MG summaries very useful and illuminating.